Wednesday evening, DeBarge fans received a bittersweet gift, courtesy of TVONE’s salute to beloved R & B artists, “UNSUNG.” For one hour, we were entranced, seduced, awed and deeply saddened by the retrospective on the famed, but troubled DeBarge family. Growing up in Detroit, the DeBarge siblings were hometown heroes that a lot of us teens could relate to. Unfortunately, most of us could relate to the family in an unparalleled way. I remember vividly listening and singing along with my stereo system, complete with a record player and large double speakers. El’s sweet and heartbroken voice spoke to me, as it did to a lot of us. Bunny’s soprano coupled with the pain and anguish in her voice on ‘A Dream’ was haunting and I could feel her torment on so many levels. We all heard and joked about the many brushes with the law that the DeBarge brothers have had with the criminal justice system and drug addiction. It seemed unconscionable and incomprehensible to DeBarge fans worldwide and in their hometown of Detroit/Grand Rapids for the DeBarge siblings to have conquered their poverty-stricken past in the ‘hood, only to have fallen into the claws of the streets. Who would have thought to have wondered whether or not that was a cracked-out Bobby DeBarge walking the ‘hoods of Detroit in the early afternoon? Yet, it was. I saw him up close and personal. The DeBarge siblings first told their story in VIBE magazine. What a compelling testimony! But to actually listen to the horrors of their childhood spill forth from their own lips was a startling harsh reality. While they were performing on the Bandstand and Soul Train, on the covers of Right On! and Teen Beat, touring the local record shops and department stores, these siblings were carrying around the mental anguish and torment that comes from being physically, emotionally and sexually abused. They grew up in an extremely violent household that offered no parental haven. Bunny DeBarge mentioned in the “UNSUNG” piece that the DeBarge children couldn’t even “trust” their mother to save them from the despicable clutches of their father. Which is why when the musical group DeBarge were at their peak and riding high on the charts and popularity, they became their own worst enemy. The pain that the DeBarge siblings carried around was felt in their most complex love songs and in their personal lives. Drug abuse helped to numb the pain of feeling unloved, unwanted, misunderstood, abused and alone. The adulation and the roar of the crowd could not save them from hearing their father’s angered voice, their mother’s terrified screams, nor their own tears from suffering through sexual molestation. 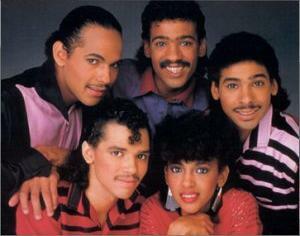 That is why it appears that DeBarge is an ‘unsung’ talented group of musicians and composers. The DeBarge nightmare was inescapable. Little did we know as fans that the DeBarge family was just like us. They were us. They are us. Here’s to hoping that the DeBarge siblings find a way to cope with their demons before it destroys what remains of them. Sometimes those voices and old memories can become overwhelming. But with counseling and psychological assistance, those demons can be tamed. Not erased. Tamed. So, the next time you hear that a DeBarge has been arrested and jailed, courtesy of a drug habit, instead of laughing and pointing what once was or appeared to be, see the truth for what it is. Pray that each of the DeBarge siblings conquer their demons before it conquers them. ‹ BREAKING NEWS: Hudson’s Estranged Brother-In-Law Charged In Family Members Deaths! Nice to hear an empathic commentary for a change. Thank you for having heart.